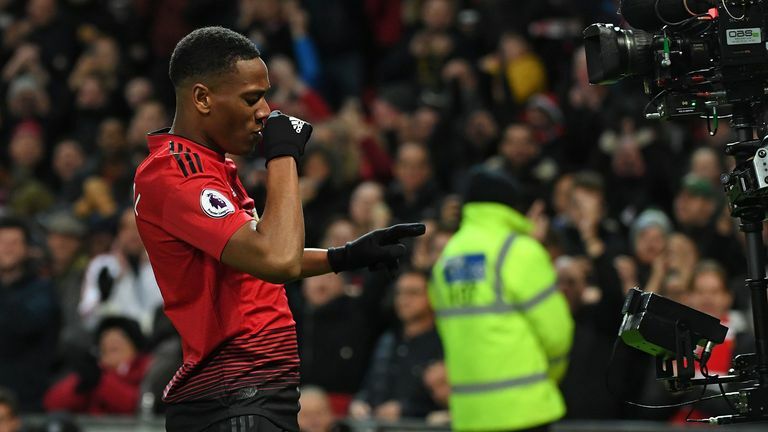 Manchester United striker Anthony Martial is "a very special player", says Graeme Souness, after the Frenchman produced another superb performance against Everton. He scored his fourth goal in three Premier League games on Sunday with a wonderful curling strike from the top of the box as Man Utd won 2-1 at Old Trafford. The performance came in for high praise from the Sky Sports pundits and Souness believes if he can overcome a few hurdles, he can have a bright future. "I think he is a very special player. I've always believed it," he said on Renault Super Sunday. "He's 23 in December, he's a baby and it is really hard for us to pass comment because we don't work with him or know him but it looks to me that he gets discouraged easily and he gets moody. Anthony Martial has hit form at exactly the right time for Manchester United. Is he now their main man in attack? 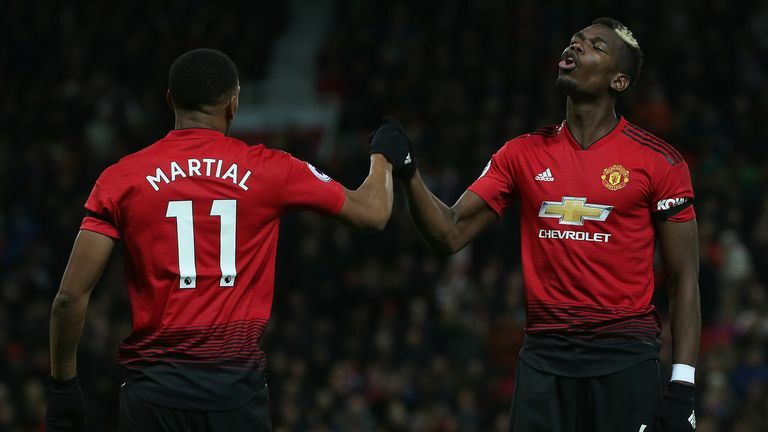 "In terms of football, I was thinking when Pogba and Martial were being interviewed [by Sky Sports after the game], if Man Utd can get them right, what a pair they could be together given their age. "He possesses everything - pace, power, a super technique as we've seen in the last few weeks of scoring goals. He's the full package if he's right, but I don't know if he doesn't want to be in Manchester or he's fallen out with the manager in pre-season because his partner has given birth, but there is a real player in there. "If you line them all up and say 'who has got the most potential? ', it is him and Pogba, but it is getting them to be proper players." His sentiments were echoed by Jamie Redknapp, who says Martial needs to keep up his minutes on the field to maintain his recent good form, but he can go 'right to the top'. "They [the players] need to get rhythm as well. When you're in and out of the team, it's very difficult for anybody," he said. "He possesses everything - pace, power, a super technique as we've seen in the last few weeks of scoring goals. He's the full package if he's right." "You're not sure if the manager fancies you or not, but every time I watch Martial, he does something special on a football field. You saw Seamus Coleman today, he was petrified of him because he picks the ball up and runs at you. "When he's playing in that position, he's the best that they've got. He might even end up being a No 9. He's a great footballer... He's got all the attributes to go right to the top. He's so talented. The finishes are a God-given talent." At just 22 years old, Alex Scott thinks Martial still has a lot to learn in his career, but praised his consistent performances over the last few weeks. "I think the question marks have been because we've seen the glimpses, the frustration and we've seen the player he can potentially go on to be," she said. "He's still a young player, but it's being able to do it consistently and that's what we're seeing now - a player full of confidence and showing up every week in a Man Utd shirt."